This week’s excerpt is from one of my end-of-the-world stories, “Special,” that’ll be included in an upcoming collection. It leaves off from last week’s excerpt, where a young boy told his friends he had grass growing under his bed. “He’s by the lake,” I answered, without hesitation. “What lake?” Yaya’s eyes narrowed, probably suspecting this was another of Niko’s tricks he’d convinced me to go along with. Read the rest of “Special” over at Medium, then post a link to your eight-ten sentence blog entry, or join the fun at the Weekend Writing Warriors website. Nuclear war. Plague. Asteroids. Financial collapse. Dystopian governments determined to exterminate anyone different. Through it all, humanity struggles on. It’s been almost a year since I’ve participated in WWW! This week’s excerpt is from one of my end-of-the-world stories, “Special,” that’ll be included in an upcoming collection. Growing up, Niko didn’t do anything special. He played with the other children in the caverns into which we’d moved to shield us from the airstrikes. He matched their outlandish stories about their dead fathers’ exploits with ones about our own father, trumping them by including the adventures of his namesake, even though no one had heard of him. We’d read about grass and about other plants, and once we’d even toured the hydroponics labs the soldiers maintained. But no one actually had plants of their own. How would they grow in the caverns, without sunlight? I went to Iceland over spring break, and let me tell you – four days is NOT enough time there. We spent a day in Reykjavik, a day doing the Golden Circle circuit tour, a day driving along the southern coast, and a morning horseback riding around the volcanic fields before flying out. I was especially excited to explore the southern coast. We didn’t get a chance to go to the Sólheimasandur plane crash site – it was cold and drizzly, and we didn’t have enough time in our schedule to walk a mile or two each way to the site – but we did get to some other famous places, like several beautiful waterfalls. We also made it to Dyrhólaey, which is a park overlooking the black sand beaches that show up in Icelandic metal videos, especially Sólstafir’s “Miðaftann.” And I’m pretty sure some clips from their video for “Fjara” were shot around here too. My short story, “The Beach,” was partially inspired by Solstafir’s “Fjara” (which is Icelandic for beach, by the way). Even though I’d only seen videos and pictures of the area before I wrote the story, I envision it being set here. I imagine Pría, the main character, standing on this beach watching her true love’s funeral barge float out to sea, then walking along it later as she’s about to give birth to their son. I’m not a fangirl by any stretch, but there was something amazing about standing in the spot where some of my favorite songs’ videos were made, where my story took place too. It’s a feeling that makes me want to go back to Iceland, this time for several weeks, and just wander the countryside. Who knows what kind of stories I’ll come up with? she must decide how to stay true to his memory while moving on with her life. Thursday Things is a weekly-ish feature highlighting little known facts, ideas, and stories behind my stories. Is there something you want to know more about? Let me know! I live right across the river from Iowa, which passed a law this year legalizing pretty much all fireworks. Normally to get the good stuff you have to drive a couple hours to Wisconsin or Missouri, but now everyone has access to everything, and for the past couple weeks my neighborhood has been under siege, with explosions ringing out nearly constantly. It’s irritating to me – and I can only imagine how bad it is for vets with PTSD. So, in honor of the Fourth and my idiot neighbors, this week’s excerpt is from “Crash,” another story in The Futility of Loving a Soldier, my collection of short stories about veterans and their families. In this story, a father worries about how his daughter, who has combat-related flashbacks, will react – but this year, she has a secret weapon. It was July third and neighbors had been shooting off fireworks all evening. Members of his support group had shared how hard it was for some veterans on the Fourth, especially if they’d had experiences like his daughter’s. 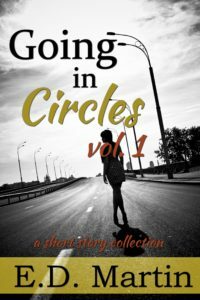 He anticipated she’d spend the next couple days holed-up in her room, alternating between depression and violent rage. He anticipated she’d be like that right now, in fact, and he had no idea how he’d deal with it. To his surprise, she was smiling – laughing, even. She played a game of fetch with the dog, running and twirling and showing an exuberance he couldn’t remember her having since her mom had died six years earlier. A string of firecrackers went off in the distance. Bill tensed, and so did Lindy. Not the dog though; it pressed its nose against her hand. She looked down at it, smiled, and threw a drool-soaked tennis ball for it to chase. Post a link to your eight-ten sentence blog entry, or join the fun at the Weekend Writing Warriors website. 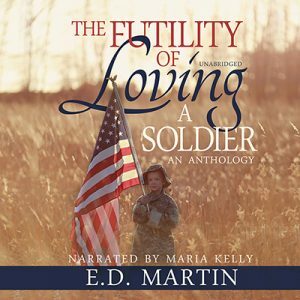 Head over to Amazon and get a copy of The Futility of Loving a Soldier, just $2.99 or free with KU. A girlfriend explains why she knew her boyfriend wouldn’t come back from the front. A stranger reminds a veteran what matters in life. A wife struggles to trust her husband with their baby after he returns from deployment. Old friends search for a way to reclaim the dreams and plans of their childhood. A woman haunted by her experiences finds an unlikely ally. One man’s enlistment creates ripple effects for generations as four sons seek to make sense of what they and their fathers are fighting for. 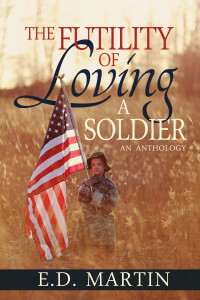 The stories in this collection explore the physical and psychological effects of combat, both on those who serve and those back home. 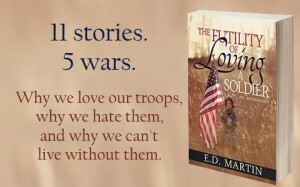 Told from the points of view of spouses and children as well as the soldiers themselves, the stories tackle eleven different scenarios spanning five American wars. 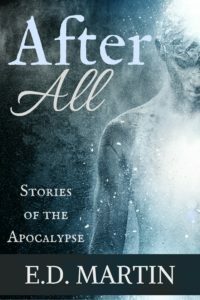 Guilt and acceptance, despair and hope, selfishness and sacrifice, and above all, love, blend together as characters come to realize maybe their feelings aren’t futile after all. I meant to get a new story published this week, but I started a new job whose training left me exhausted. 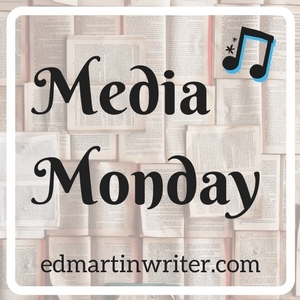 So, this week’s snippet is one of my favorite things I’ve written, from the short story “A Wedding” in The Futility of Loving a Soldier, my collection of short stories about veterans and their families. In this excerpt, Abby is visiting her childhood friend, Eli, who was injured in Iraq. I’d stepped into the room where he lay unconscious, passed out from pain and medication. He looked so pathetic lying there, with bigger muscles than the last time I’d seen him, but paler—deathly pale with huge black circles under his eyes, cuts all over his exposed face and neck, and a bandage where his left arm should’ve been. I edged over to his bed and picked up his right hand—his only hand now—careful not to disturb any of the wires and tubes sticking out of him. 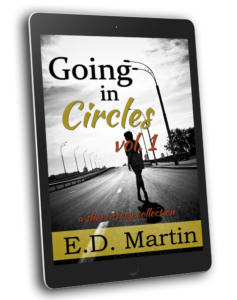 I stared at his fingers and palm, tracing the calluses on his fingertips before gently setting it back down and leaving the room. Jamie Linn had been there to help him rebound and rebuild once he returned home. She’d had a crush on him for as long as anyone could remember. She was a nurse now, or home care aide or traveling physical therapist—something that got her into his house each day and got him back to healthy. Once he was better, up and around and selling used cars with his dad, she’d stuck around. It was the perfect romance story come to life, except my mom said Eli had bad spells where he’d just lock himself in his room and stare at the walls, and Jamie Linn got all weepy whenever a show like The Bachelor or 19 Kids and Counting came on and reminded her that she was twenty-seven, childless, and engaged to a moody one-handed used car salesman. Post a link to your eight-ten sentences blog entry, or join the fun at the Weekend Writing Warriors website.